A couple of things are going on this month. All of which delight me this time of year. I am happiest when I know the weather will soon turn cooler, allowing me more comfort time outside in my brugmansia jungle. 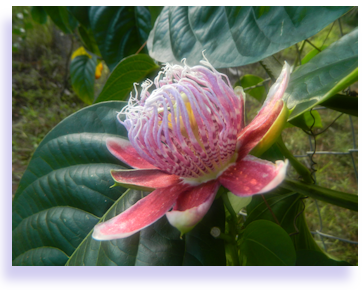 My husband was able to snap a couple of beautiful shots of passiflora X decaisneana day before yesterday. Thought I&apos;d share his talent with the camera for all to see. For those of you who read last month&apos;s blog, we are still slowly moving the brugmansia mothers and spring babies in for a larger pot upgrade. And the most interesting thing happened yesterday. We were moving a &apos;Spring Baby Ann Sessions&apos; over to the Greenhouse for said pot change. We removed her from the pot, and I began hacking on the rootball, loosening and removing the outer root growth. As I cut on the right side, a hole in the soil appeared and I saw something just inside, wriggling. Looking closer, I became frightened. It was huge, it was deep mahogany, a shiny, writhing, giant worm! This fellow was as thick as my thumb, a scary prospect indeed, as I could not see the mouth end and pinchers on something this big can cause some discomfort, to say the least. I&apos;m not touching that, I thought. And I&apos;m not one to wince at bugs, but this one was just too frightening. My husband is actually more sqeamish than I when it comes to insects. This time he will deal with it. So call him I do, he&apos;s on the other side of the screenhouse, putting new posts in the ground for the expansion. He could tell by the tone of my voice that this was urgent. I don&apos;t want you to kill it, just get it out of the soil, I said. He picked up a garden stake, and gently pried it out. It was a giant chrysalis! It wasn&apos;t a worm, it was a moth in morph! I knew what species as soon as I saw it. 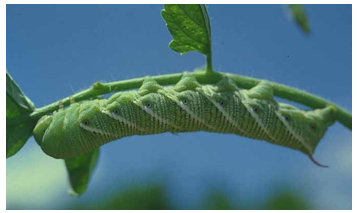 It was the Tomato hornworm. I&apos;d seen a group of 4 a couple of weeks earlier, getting ready to expire from lack of food on a brugmansia we were ready to repot. 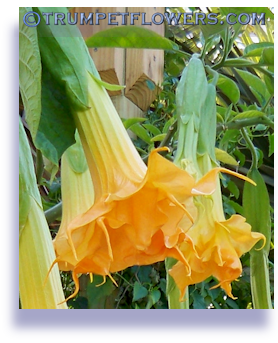 So I had placed them separately onto other, leaved brugmansia nearby. Since we were going to be repotting the others soon, they would not need their leaves. Let the caterpillars complete their lives, we thought. So this was it. They had dug into their little underground burrows, and began the mysterious process of morphing, soon to become a Hawk Moth. They do not in any way damage the roots of the plants they are found with. 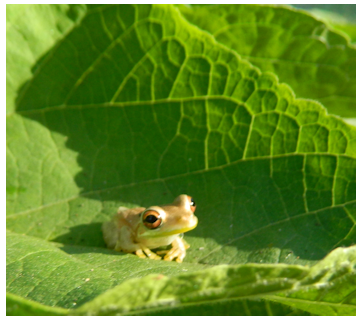 No, they only eat the leaves, and then use the surrounding soil for safety in the next leg of their life&apos;s journey. 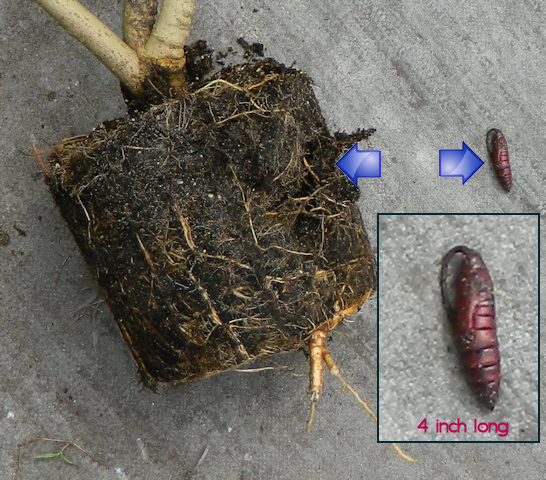 I half-filled a 1 gallon pot with fresh potting soil and placed the chrysalis on top. Then I covered him with soil and lightly watered the soil for moisture. (A lot of peat in my mixes) I placed a clear globe over most of the soil and set the pot in the shade. I&apos;m hoping to capture a photo of the emerging moth. Today is the 4th. I wonder how long it will take the moth to morph at these temperatures, 90° days and 73° nights. Time will tell. On another note, we are working on adding to the screenhouse. Hubby already has the frame up and is painting it now. I&apos;ll post pictures on another page, as a Do It Yourself project. Check back here in a few weeks for the photo of our Hawk moth. I know he&apos;s going to be just beautiful! 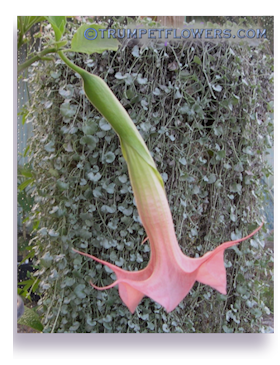 This entry was posted on October 5th, 2013, and is filed under Brugmansia Blog.